When you're scrolling through your Instagram feed, you probably see accounts promoting "great deals" on trendy fashion. "My bag is only $10!" "This whole outfit is under $50!" and "These jeans are less than $20!" are common captions I see on posts in my feed. While prices for most things in our lives have gone up (food, rent, gas), fashion seems to be getting cheaper and cheaper. Fast fashion, according to Merriam-Webster, "is an approach to the design, creation, and marketing of clothing fashions that emphasizes making fashion trends quickly and cheaply available to consumers." New items are showing up in stores multiple times per week; people are demanding new items more frequently and the stores are trying to keep up with the demand. The cost of a new top is less than that of a burrito, so what's the harm in treating ourselves to a new item weekly (or more frequently)? The truth is, someone, somewhere is paying for it, at a cost far greater than the small amount of money we just put down. What is the Human Cost of Fast Fashion? If you watched The True Cost documentary, or happened to be following the story in 2013, you may be familiar with the Rana Plaza incident. 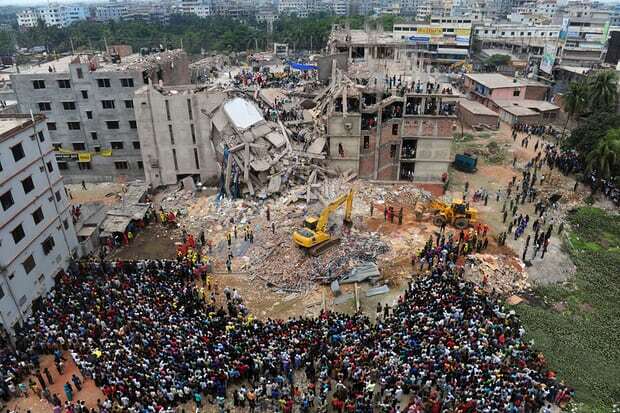 It is considered to be the deadliest disaster in the garment industry, killing over 1100 people and injuring thousands more when a commercial building in Savar, Bangladesh collapsed. Many were killed instantly, others buried alive, and some were even forced to amputate their own limbs just to survive. The building contained factories producing garments for brands including Walmart, Benneton, Mango, The Children's Place, Joe Fresh and J.C. Penney, among others. The building was known to be structurally unsound prior to the collapse, but no one did anything about it. In 2015, two years after the incident, murder charges were eventually filed against the 42 individuals for ignoring the building code violations. These include the building's owner, who attempted to flee the country after the incident, owners of some of the factories operating in the building, and at least a dozen government officials whose jobs involved overseeing the structure's safety. These people were clearly very motivated to keep these factories running, despite the dangers it presented to the workers. This wasn't even the first incident of it's kind to take place in Bangladesh. The Tazreen fire, which occurred 5 months before the Rana Plaza collapse, claimed the lives of 117 fashion factory workers and injured over 200 more. One of my favorite podcasts, Wardrobe Crisis, has a very powerful episode on this topic and includes personal stories from people who were affected by these tragedies. I will embed the podcast below if you want to listen (I highly recommend it if you have the time!). Surely tragedies of this magnitude would challenge the status quo, right? While the minimum wage in Bangladesh has doubled since the incident, it is now a paltry $68 a month, one of the lowest in the world. For the almost 4 million garment workers, most of whom are women, this is simply not enough. The Accord on Fire and Building Safety in Bangladesh was put into place over the years since the Rana Plaza incident to address the public backlash. Their mission is to enable a safe working environment where employees no longer need to fear fires, building collapses, and preventable accidents, which they will accomplish by allowing independent inspections of factories. Want to know who didn't sign the agreement? GAP (which includes Banana Republic, Old Navy, Intermix and Athleta), Walmart, Target, Macy's, Kohl's, and Forever 21, to name a few. You can view the list of who did sign the agreement here. The accord may have had good intentions, but that doesn't mean the last few years have gone by without incidents. Two years after the accord was signed, H&M reportedly still didn't have working fire exits in over 60% of their factories. There was also yet another incident making headlines in July 2017. Even with some regulations in place, one of the most prevailing concerns at factories everywhere is the fear of speaking out. Codes of conduct, continually used by apparel companies to monitor the working conditions of their suppliers, narrowly focus on building safety and physical infrastructure with a bias towards what can be seen and audited. These codes are poorly implemented, allowing building fires and collapses to continue; they also ignore many things that threaten workers’ health and well-being on a day-to-day basis. Building safety is only one piece of the problem. According to one woman who worked at a factory in Bangladesh, "the building is safer, but as workers in the factory we still don't have any security in our lives. Even if I am on my death bed, they will ask me to finish making two more pieces before I die. We are nothing but machines to them." This topic could take up an entire article on its own (and I will be writing one soon), but it is important to at least touch on the fact that the way fast fashion is manufactured is dangerous to the environment. It directly impacts the people producing the clothes as they come into frequent and close contact with chemicals, but it is also problematic for those of us who wear these garments as the cancer-causing chemicals can seep into our skin. Further, the chemicals are released into the air and water when applied to the clothes and affect our entire planet, whether we are buying these clothes or not. I personally recall buying items from Sheinside a few years back, and being appalled at how strongly they smelled. I literally had to air them out for a week before they were close to wearable because the odor was so offensive. I realize now that it was a result of the chemicals they were produced with. When we wash clothes made with certain materials, such as polyester, in our home washing machines, they shed microfibers (plastics) which end up in our water supply. These microfibers are not biodegrable so they end up in the ocean, consumed by aquatic life. Smaller creatures like plankton eat them, and then plankton are eaten by larger fish and shellfish, making their way up the food chain until they're consumed by humans. The original accord expires in 2018, and there has been a new version drafted. According to IndustriALL, the new agreement "continues the first Accord’s ground-breaking legally binding framework and commitment to transparency. It also adds new worker protections and ensures that many more factories will be inspected and renovated, as signatory brands add suppliers." There's no way to know if brands will actually follow this new accord if they do choose to sign on. But we as individuals have the ability to make a HUGE impact on the world of garment manufacturing, just by using our voices! If we can let our favorite clothing companies know that we want more supply chain transparency, they will start to take notice. If we make it clear that we won't support slave labor, then they will have to change how they do things if they want to keep our business. The organization Fashion Revolution believes "in a fashion industry that values people, the environment, creativity and profit in equal measure" and they are the leaders of the #whomademyclothes movement. I really identify with their goal of being action-oriented and solution focused. "Rather than making people feel guilty, we help them recognise that they have the power to do something to make a positive change." My goal for this blog is the same: I want to empower all of you to make positive changes in your life that will have an even larger impact on the world we all share! Fashion Revolution has an annual celebration every year, around the same time as the Rana Plaza collapse, to commemorate the lives that were lost and to bring awareness to the bigger issues in fashion. There are MANY ways you can get involved, and you don't need to wait for Fashion Revolution Week to do so! There's a page on their website dedicated to exactly this, with different ways you can get involved. Some of my personal favorites are to email a brand asking "who made my clothes/bag/shoes?" or sending them a DM on Instagram if you aren't able to find an email for the brand. 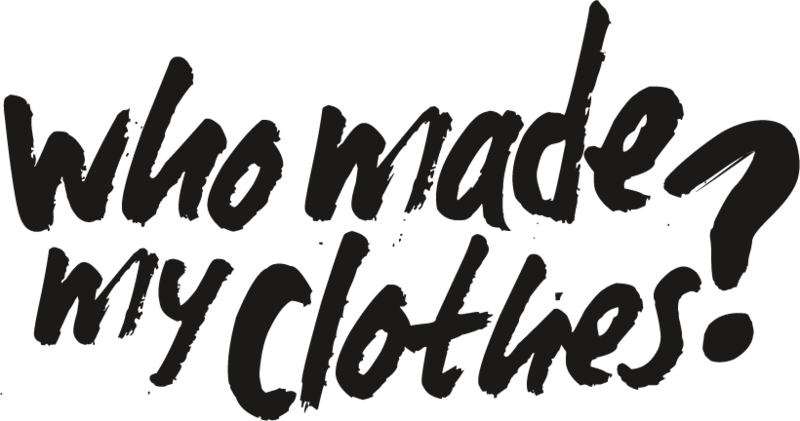 Another idea that Fashion Revolution encourages is to post a photo of the clothing label you're currently wearing while posing the question "who made my clothes?" You might not get a response. You might get a response that isn't detailed. But you might be surprised! Some brands are proud to share about where their products are made and the faces behind those products. But at the very least, someone on the other end of that message might start to wonder where the products are made, and perhaps that message will make it to the higher-ups in the company. Together, we can make a difference! If you have reached out to any companies, I'd love to know how it went! Please feel free to share your experiences in the comments below.